Be the first to hear about their new releases and deals. 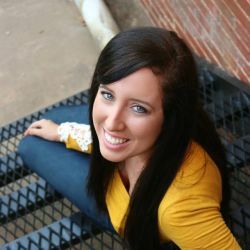 Download the Booksprout app and search for Brittany Butler today! I've always had a crazy imagination and I loved writing. So, I started writing Forever Careless to see if I had it in me. It was too much fluff for me, however. my friends loved it. So, I wrote another, this time I pushed to boundaries of fluff. One day, while in a very bad mood, I thought of a story without a happy ending. One with real problems and real people. A story that was very close to my heart. It nagged me constantly. Months later, I sat down and started Hazed. At first, he was going to be apart of the Forever Series. Just come in and wreck their lives. Instead, I went another route. Only weeks later, Hazed was finished. I was obsessed with it. It took me over a year to finish my first novel and weeks to finish this one. I knew what that meant. I liked to write about bad people who do bad things. I like to get inside their minds and feel their crazy. So, if you're looking for hearts and flowers, you won't find them here. My stories are real and they aren't pretty. If you do give me a chance, I will be eternally grateful.